LIMITLESS offers Vendor Management Solutions (VMS) that are designed to reduce costs, improve vendor performance and identify and manage risk. Our Billing Optimization Service is a one time examination of current and past billing to identify all unnecessary charges, while at the same time correcting any overcharged billing errors. This product ensures you are refunded any money your company has been unfairly charged for months or potentially years. Vendor Management Solutions (VMS) is an on-going management where companies can benefit by having a complete view into what is affecting their business environments. This solution allows companies increased cost control, vendor transparency, enhanced inventory, document management, and improved financial planning and analysis. Vendors can be virtually anyone doing business with your company. Manufacturers and suppliers (everything from construction materials to cafeteria food). Service providers, including telecom, utility, waste, janitorial services, paper shredding services, consultants, and advisers. For a sample list of vendors click here. 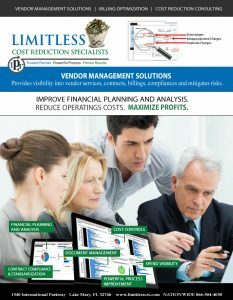 LIMITLESS uses a Fully Managed Web-based Online Vendor Management Solution. Managing risk means ensuring consistency and visibility. It’s crucial to hold short- and long-term vendors, suppliers and contractors to the same risk management standards. Automation is necessary in vendor management. If you are trying to manage your vendors manually, you’ll most likely: lack visibility into performance and deliverables, waste time, and increase labor and administrative costs. By using vendor management software, your company can gain valuable insights that can increase efficiency, mitigate risk, and maximize vendor performance. Contact us today for a COMPLIMENTARY DEMO. What does LIMITLESS VMS Include? 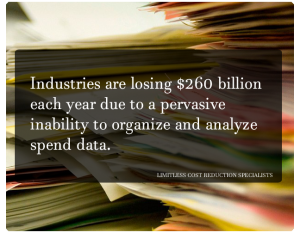 – Identify opportunities to cut costs and enhance vendor terms. 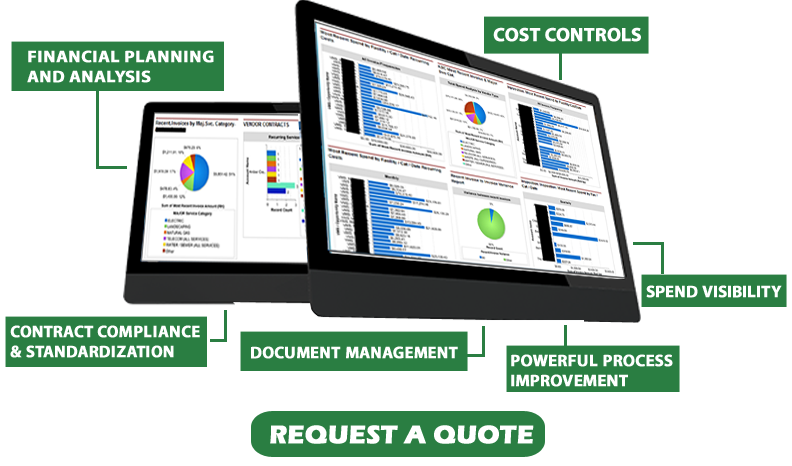 – Enhanced management dashboards with considerable information on costs, inventory, lapses between demand and delivery and variances in billing. – Negotiating with Vendors to ensure contracts and agreements are in compliance with services provided. – Manage warranty and contract renewals. – Identifying vendors that are more appropriate, if necessary and approved by client. – Identifying opportunities to consolidate vendors. Providing vendors with larger or more frequent orders, often results in better pricing and terms. – Evaluation of current vendors with respect to their performance, quality and pricing structures. – Managing the transition from one vendor to another. – Monitoring and evaluation of vendor activities including quality and contractual and Service Level Agreement (SLA) compliance. – Identifying and monitoring risk.